An emerging interest cropping up in the field of holistic Pet care includes the use of Cannabis in pet products. While many articles written on this subject affectionately coin the term “pot for pets”, cannabis can refer to both marijuana and hemp. The exclusive production of hemp-derived, plant-based phytocannibinoids, for therapeutic purposes without THC (the “high” producing element) is where the line is drawn. No one wants your dog or cat to inhale or consume THC-laden products; either intentionally or accidentally. The distinction is further defined between “medical marijuana” and “medical cannabis”; the separation of the two boils down to the actual processing of the cannabis plant and which compounds are extracted to be individually refined into a consumable product for various treatment purposes and effects. While there are estimated to be 480 different compounds within the cannabis plant, less than 70 are identified as “cannabinoids”. So what is a cannabinoid? “A cannabinoid is one of a class of diverse chemical compounds that acts on cannabinoid receptors in cells that alter neurotransmitter release in the brain. Ligands* for these receptor proteins include the endocannabinoids (produced naturally in the body by animals), the phytocannabinoids (found in cannabis and some other plants), and synthetic cannabinoids (manufactured artificially).” *Definition of ligand: a molecule that binds to another. For us lay persons, the simplified version is that our bodies have natural receptors (“endocannibinoids”) that interact with cannabinoid receptors through natural neural transmission. Our bodies have an intricate, built-in highway – an endocannabinoid system -that can react positively to different cannabinoid “traffic signals”. This synergistic interaction is referred to as the entourage effect. The interspersion then is a magnification of the cannabis plant’s natural and therapeutically components once consumed and invited into our neural freeway. Our human endocannabinoid system is comprised of 2 known receptors or layers: CB1 & CB2. These receptors are unleashed via the 3 cannabinoids defined above (endo, phyto & synthetic)…the source of each respectively, is either naturally processed from the cannabis plant resins or artificially produced in a lab. The phytocannabinoid known as Tetrahydrocannabinol (THC) is the psychoactive compound in cannabis that produces the “Rocky Mountain High” that John Denver eulogized and can be conveniently categorized under the medicinal or medical marijuana heading. There are 4 main synergistic cannabis compounds that do NOT contain the psychoactive effects of THC. Those 4 compounds are symbolized as: CBD, CBG, CBN & CBC. CBD is the primary component in the cannabis plant. Industrial hemp is bred from medical cannabis plants. The 2014 Farm Bill made it legal to cultivate hemp on a federal level. These plants, also referred to as cultivars, can contain the highest CBD with lower THC concentrations through stabilized, cross breeding; if done properly with rigorous testing to ensure no molds, pesticides or heavy metals are in the blend. Also present in the cannabis plant are flavonoids: which account for the color in the plant and terpenes: the natural ingredient in cannabis most notably reflected by its aromatic smell. In the interest of progress, and growing acceptance of CBD’s medicinal qualities, the FDA recently approved a cannabis-based CBD product known as Epidiolex used to treat two severe pediatric seizure disorders (for humans). 2 other FDA-approved drugs: Dronabinol & Nabilone, that actually include THC components, are available to treat extreme nausea, especially for cancer patients recovering from chemotherapy, and as an appetite stimulant, particularly for AIDS patients suffering extreme weight loss. So what do all these natural and properly processed cannabis plant ingredients mean for the consuming public, both human and animal? While we tune into the medical advice of our doctors and Veterinarians, we rely on their years of professional experience, vast clinical studies and statistical analysis to better determine what’s in our best interests, including our pets medical needs and how best to treat them. Traditional medications for animals suffering from anxiety, acute pain, joint inflammation and epilepsy often includes heavy sedatives, antidepressants and anxiolytics. Antidepressants, including Prozac, are often prescribed for pets with high anxiety and may relax the body yet don’t entirely alleviate the mental anxiety; the body is lethargic and may sleep all day, yet the mind continues to race in a dulled manner. And when those drugs wear off, hyper-excitability can ensue. 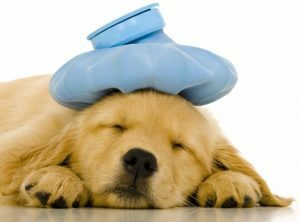 Acute pain and inflammation, particularly prevalent in older dogs and cats and those recovering from surgery, are often prescribed non-steroidal, anti-inflammatory drugs such as Rimadyl, Tramadol or Meloxicam. Side effects are always a concern so the “patient” is monitored for GI reactions (vomiting, diarrhea or ulcers) with routine blood work to ensure proper liver function, especially for dogs on long-term pain management protocols. CBD-specific pet products might be an alternative treatment to consider. They are available in digestible biscuits, capsules (pilled or spilled on the pet’s food) or oils (dropped on the tongue) and are widely consumed by dogs and cats to mitigate pain, inflammation, seizures and anxiety. Sadly, while senior dogs are more prone to age-related conditions, many suffer from separation anxiety at all ages. Separation anxiety is common and may surface for a variety of reasons: either the dog is uber attached to his human; suffers from loneliness, boredom and minimal activity; has experienced a recent change in routine or has an abusive past. Providing mental stimulation and daily exercise is the first anecdote to assuaging separation anxiety; if not a daily prescription for all dogs in meeting their health and wellness needs. For the severely traumatized dogs that just can’t help their inner turmoil, regardless of their owner’s best efforts, the calming effect of cannabis is certainly worth considering vs harsh medications such as Prozac. A Certified Animal Behaviorist and/or the family Veterinarian should always be consulted before any medications of any kind are considered. Medical cannabis for dogs, cats and even horses, lacks the financial backing of big Pharma and there are no meaningful studies or clinical trials to draw from. It may be years before actual clinical tests are launched with dogs and cats (vs rats) as the subject. Those Veterinarians who embrace holistic alternatives are tapping their toes in the emerging arena of cannabis-based remedies with faithful reliance on patient improvement and owner feedback. A survey – note not a study –was conducted 3+ years ago by Colorado State University on behalf of a hemp-based pet product manufacturer; and relayed by the American Holistic Veterinarian Association to its members. The survey results were garnered from 632 dog and cat owners via on-line replies. 77% of those who responded indicated they used the product for an illness or condition diagnosed by a Veterinarian with the most common conditions including seizures, cancer, anxiety and arthritis. 64% reported perceived relief of pain in their pets. 88% reported that they felt the products were safe. 62% replied that CBD products worked as well as most or other treatments. RE: Side effects: the majority of consumers surveyed reported noticeable sedation and over-active appetite. Notably, the most common reason given for suspending further application was the cost. Until further research and trials can be conducted, along with relaxed federal standards regarding the definition and use of cannabis, this subject continues to remain in debate; yet hopefully fueled by those pet owners demanding alternative treatments to conventional methods of pet-care prescriptions.